A weekly podcast that looks at issues in-depth, centered around politics, culture, and faith. Your hosts are Jay Caruso and Ben Howe. 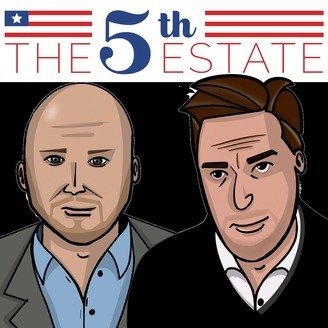 Jay and Ben welcome to the show, Senior Writer at National Review, David French. The gang starts talking about the Mueller report but pivot into a general discussion about Trump and why his supporters support him as strongly as they do. They also get into issues of faith and how that relates to the President. Click this link to get the podcast every week in your favorite podcast app! 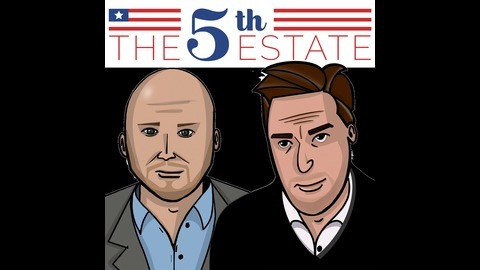 The Fifth Estate now has premium content. The latest is a a conversation with David where he, Jay and Ben talks about the final season of Game of Thrones, what they thought of the first two episodes and what they think will happen! It's just $3.99 a month and you can use your favorite podcast app! No commitments. You can cancel at any time. Follow Jay on Twitter and sign up to receive his free weekly newsletter, The Monday Notice. Follow Andrea on Twitter and check out The Right Side Podcast she does with Kimberly Ross and also sign up for the Arc Digital Newsletter that features great stories from Arc Digital.